As the modern world becomes more technological and machine-oriented, juggling may not be the first skill that comes to mind when you think of new ones you should learn. But, surprisingly enough, it is perfectly suited to the digital age and offers many benefits. Here are three positive reasons to give it a try. To toss three items simultaneously without dropping them, you need to have first-rate focus. The good news is through lessons, your aptitude for concentration will sharpen. In an era in which many people feel like it’s harder to pay attention with so many distractions around, juggling will help you regain a degree of control. Many people spend nearly the entire day sitting, hunched over a laptop. Since research has shown lots of sitting is not good for you, it’s vital to take some standing breaks. Juggling gives you a reason to get up and stretch out your body, providing movement that will improve your health. 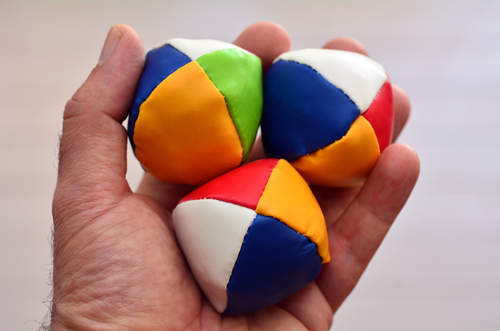 As an ancient and more obscure pastime, juggling is a particularly fun skill to master. You can perform for your friends, teach family members, or just take a break from the stresses of life. After you’ve learned the skill, you may find you have no need to be bored anymore. As long as you have three items, you can juggle! Located in Morganville, New Jersey Circus Center has developed a reputation as the region’s preeminent center for circus classes and other full-body workouts. Offering everything from juggling courses to fitness training, the professionals will help you thrive in your new skills and movements. To get more information about the available classes, just call (732) 705-3244. Learn more about the center by visiting their website.